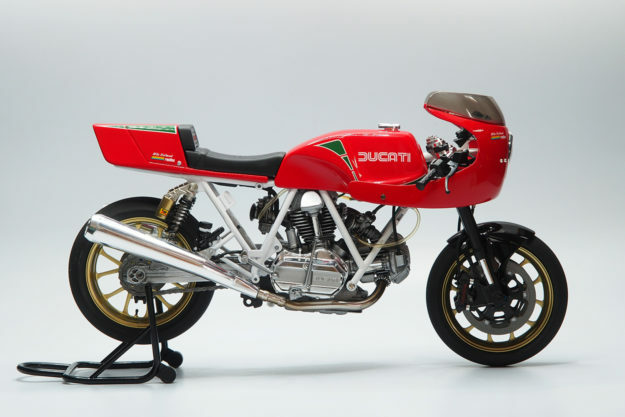 Ducati Paul Smart Special Did you know that the principal of the Althea Honda WSBK team, Genesio Bevilacqua, has a private collection of rare and exotic race machines? We’ve just stumbled upon it, and we’re blown away. From what we’ve read, it’s been specced for racing—although it’s not clear who raced it, and in which series. 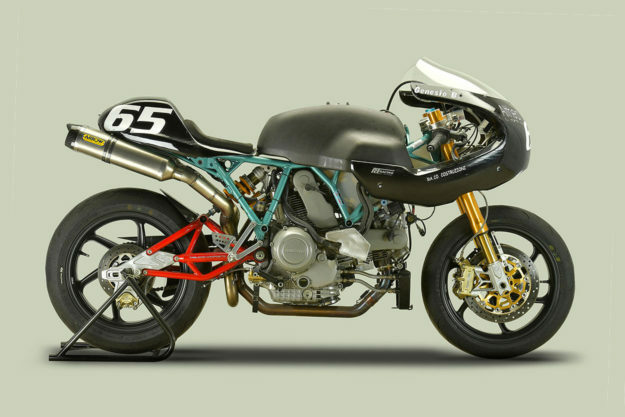 It reportedly has a Bimota swing arm with an upgraded mono shock, and Marzocchi upside-down forks. The classic Paul Smart silhouette is still there, but the bodywork’s definitely been reworked to some extent. 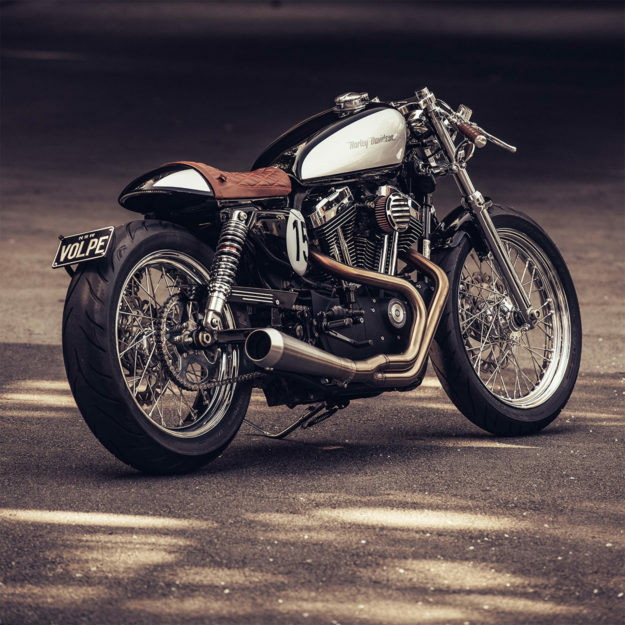 Harley-Davidson Sportster by Deus Ex Machina The custom scene has had its fair share of Sportster café racers, but seldom have they looked as classy as this. 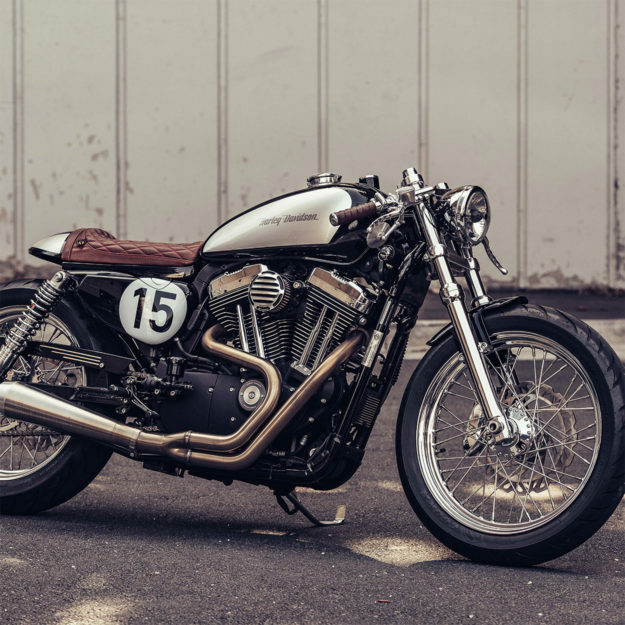 Built by Frenchman Jeremy Tagand, at Deus in Australia, it’s an exercise in supremely good taste. There’s no pipe wrap or vintage rubber here. Just a smorgasbord of stylish parts, that includes chromed wheels, Avon tires, and a stunning two-into-one exhaust from Bassani. 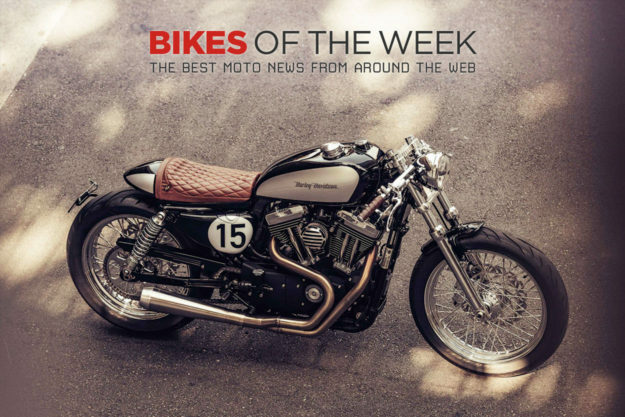 (I’ve heard one of these systems on a Sportster before, and it’s wonderfully rowdy.) 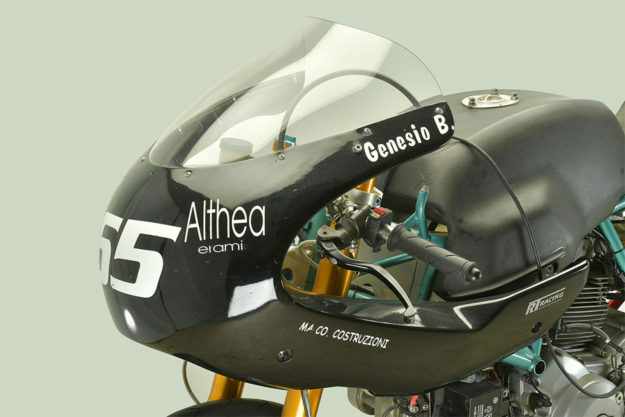 The fuel tank’s off a Yamaha SR, and the seat unit is from Tuffside. 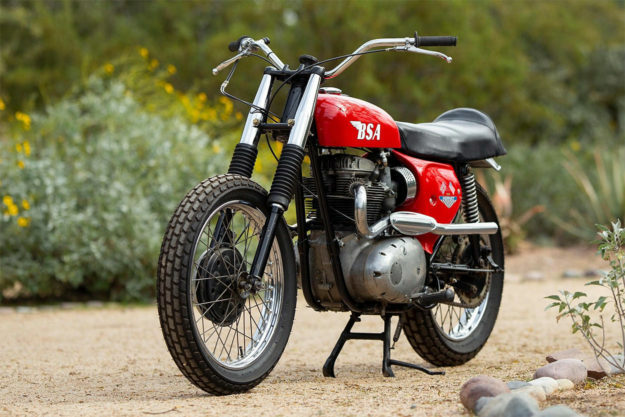 BSA Hornet A65 Our friends at Silodrome are experts at curating the best vintage eye candy. 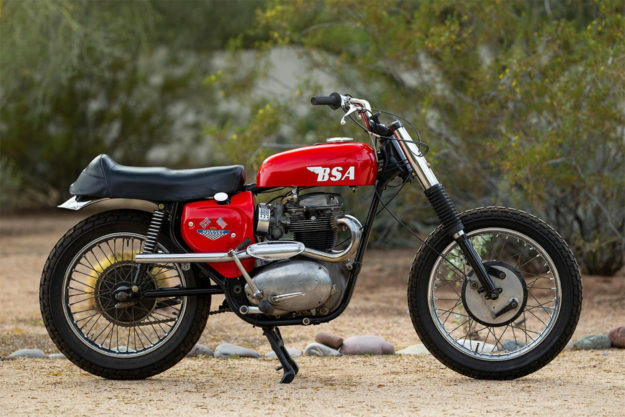 This week, it was this stunning 1967 BSA Hornet A65 that caught our eye. And who could blame us? 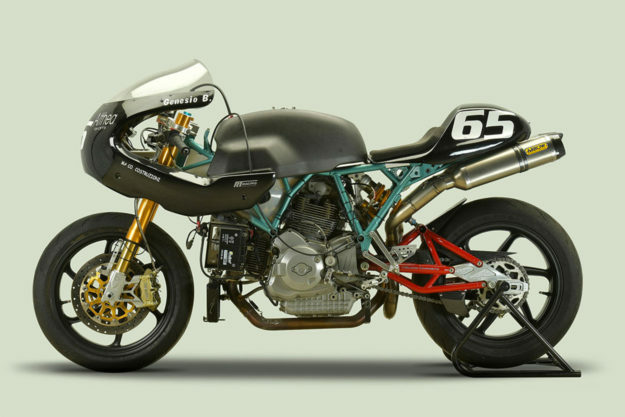 This particular Hornet is a 1967 spec ex-racer. It’s been restored to close-to-factory spec, with a few key changes. The front fender, tacho and ignition key are gone, and the ignition’s been updated to a modern Boyer unit. If you’re a BSA expert, you’ll also notice that the tank decals aren’t quite OEM for the era. 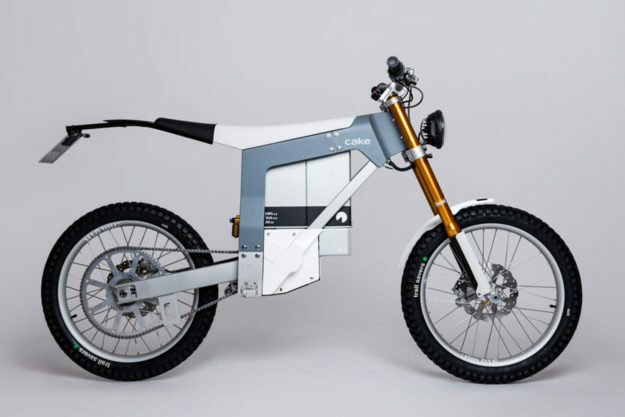 Cake Kalk& Cake is a Swedish electric bike manufacturer, that made waves at last year’s Paris Motor show with their Kalk OR dirt bike. Now they’re back with a street legal version: the Kalk& (pronounced ‘Kalk and’). Visually the Kalk& looks similar to its dirt-loving sibling; both take heavy design cues from downhill and enduro mountain bikes. But there are a few changes beyond just a set of lights. For starters, the Kalk& has different gearing, and a higher top speed for highway use. The Kalk OR weighs 69 kg with its battery, puts out 42 Nm of torque and has a range of 80 km. It remains to be seen how the Kalk&’s specs will differ, but we’re betting it’ll weigh a little more and go a bit further. TT Scale Model 1/12 models If you’d like something pretty to look at—but the real deal is just too expensive—here’s an alternative. 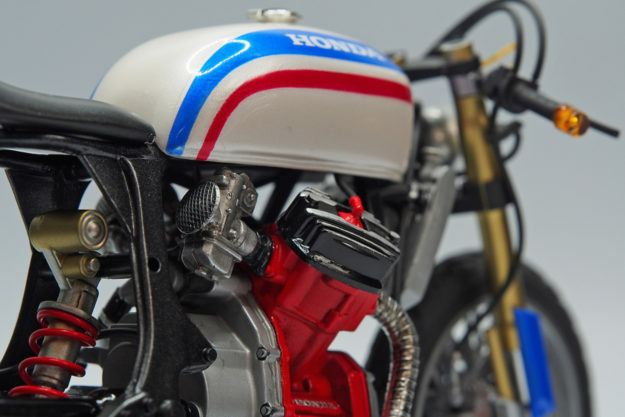 TT Scale Model is a hobby shop in Thailand, specializing in custom scale model motorcycles. Yes, you read that right. Shop owner Tew Tar-Ua explains that actual custom bikes in Thailand are extremely costly. 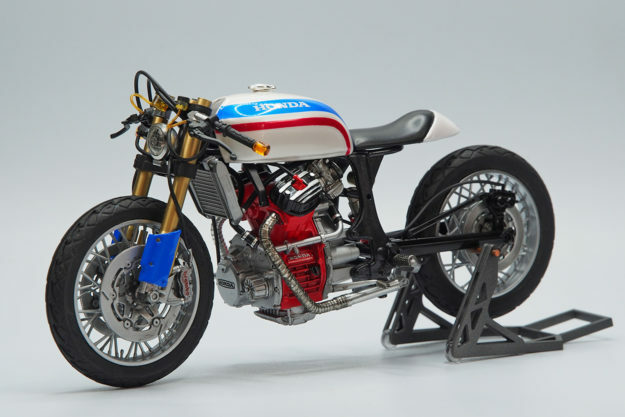 So he scratches his itch by building 1/12 scale models of classic, custom and racing bikes. And the results are absolutely stunning. 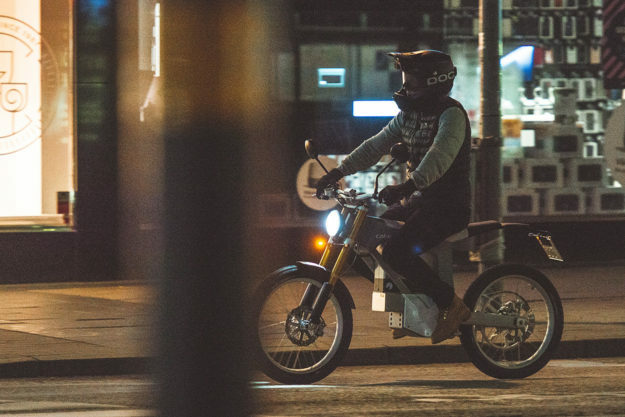 Tew constructs each bike using off-the-shelf scale model kits, which he then customizes. Some of the ‘custom’ parts are made by cutting and glueing existing bits, some are hand-molded, and others are borrowed from salvaged models. Then each bike is carefully finished off with an air-brushed paint job, and decals.